Oregon requires a person to carry liability insurance if they are operating an RV, since it is registered just as a car would be. 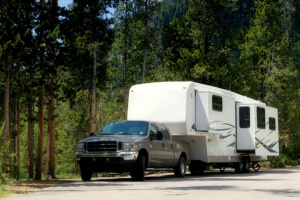 Insurance is not, however, required on a travel trailer, since liability transfers from your auto policy when it is attached to your vehicle. A finance company still may require a separate policy though. We have carriers that insure all classes of recreations vehicles and all types of personal trailers. Our experienced professionals will find you the exact coverage you need at a price you can afford! Bodily Injury & Property Damage Liability- This coverage pays the other party when you have caused damage to another person or their property because of your motor vehicle. This is the only coverage required by law in Oregon. 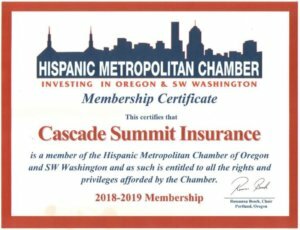 Underinsured Motorist Bodily Injury & Property Damage- This is an optional coverage that pays you when another individual has caused bodily injury or damage to your property with their vehicle and they either do not carry automobile liability insurance or they do not carry high enough limits to cover the damage you have sustained. ~~If you opt of carrying this coverage, a signed rejection must be on file with your insurance company. Personal Injury Protection- This is an optional coverage that would pay your medical expenses, lost wages, loss of services and/or funeral expenses up to the purchased limit, either $10k or $35k, no matter whose fault the accident is. ~~If you opt of carrying this coverage, a signed rejection must be on file with your insurance company. Comprehensive- This coverage pays for damage to you vehicle, exceeding the amount of your deductible, caused by anything other than an accident. This would include damage caused by fire, theft, vandalism or any natural acts of God. Some companies offer a separate, lower deductible for glass breakage. Collision- This coverage pays for damage to your vehicle, exceeding the amount of your deductible, in the event of an accident. You must have comprehensive in order to have collision. Comprehensive and collision are the coverages that the term “full coverage” refers to. Towing & Labor- This coverage pays for the cost of towing and labor when your vehicle is disabled due to a car accident. It only covers the labor at the site of the accident. You must carry comprehensive and collision to add this coverage. Rental Car Reimbursement- This coverage pays the cost, up to the purchased limit, of a rental car when your vehicle is being repaired due to a covered loss to your automobile. You must carry comprehensive and collision to add this coverage. ​Roadside Assistance- This coverage covers towing, battery assistance, tire changes, lockout service, fuel delivery and more for you when a covered vehicle is disabled. Not all companies offer this coverage in their policy. There are companies that offer this in a stand-alone product. Auto Loan Coverage aka GAP- This coverage protects you if you car is totaled out (or stolen) and you owe more to your lender than what the car is worth. The insurance company will pay the full amount that you owe to the lender, releasing you of all interest from the vehicle. You must carry comprehensive and collision to add this coverage. Personal Property Replacement-This covers personal effects such as clothing, sporting equipment, tools and housewares that otherwise would be covered by a homeowners policy while you are away from home. The advantage to this coverage over filing a homeowners claim is possibly setting a lower deductible and/or a separate limit. Vacation Liability-This sometime referred to as “campsite” liability. It protects you if someone is hurt at your campsite or in your RV while it is parked. Full Timer-This coverage package makes the policy similar to a homeowners policy. It is designed for people who use their RV as their primary residence.